Trinh Xuan Thanh allegedly agreed to undersell shares at PVP Land's project and accepted the buyer's $617,000 'gift' in return. 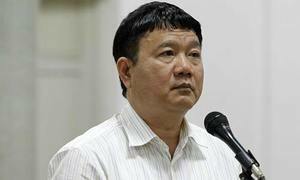 Vietnam's top prosecutors on Thursday ratified charges against the runaway oil executive Trinh Xuan Thanh and seven others for embezzlement linked to his company's subsidiary. With this charge, Thanh, former board chairman and general director of PetroVietnam Construction (PVC), is facing the death death penalty, the second to be charged against him this week. Dinh Manh Thang, former board chairman of Petro Song Da Trading and Investment JSC. and brother of fallen political star Dinh La Thang, is also among those charged with embezzlement in this case. According to investigators, around the end of 2009 and early 2010, the state-owned oil giant PetroVietnam (PVN) had a policy to transfer all real estate subsidiaries to be managed by PVC, including PetroVietnam Power Land (PVP Land). During this time, Le Hoa Binh, chairman of 1/5 Construction and Service JSC. wanted to buy the Nam Dan Plaza Project, of which PVP Land held a 50.5 percent stake. Through a middle man, Binh signed a deposit contract to buy all 24 million shares from the five shareholders of Trans Pacific JSC., the project's investor, for over VND20,000 ($0.9) per share. 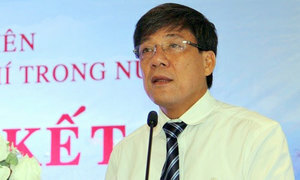 Thai Kieu Huong, deputy general director of Vietsan Company, a shareholder of Trans Pacific JSC., then asked Dinh Manh Thang to persuade Thanh to let PVP Land divest from the Nam Dan Project. 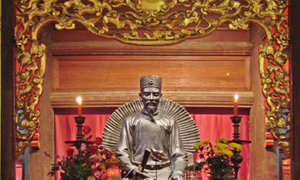 Thanh quickly agreed to the deal and instructed Dao Duy Phong, chairman of PVP Land, to arrange the transaction. With Thanh's approval, Phong sold PVP Land's 12 million shares at the Nam Dan Project to Binh for only VND34 million per square meter ($1,250 per square yard) instead of the price of VND52 million per square meter previously agreed in the deposit contract with Binh. This price difference resulted in PVP Land losing VND49 billion, according to investigators. Huong then told Binh to "gift" Thanh VND14 billion, while Phong received VND10 billion and Dinh Manh Thang received VND5 billion. 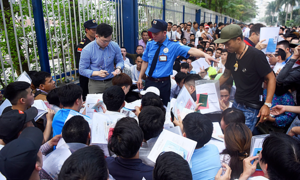 The deal was however broken when police arrested Binh for a housing fraud case, in which he conned nearly 500 potential homebuyers out of VND790 billion. 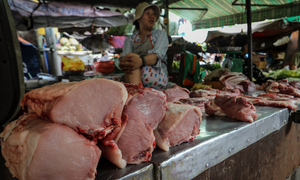 The money Binh used to buy the Nam Dan Project was also discovered to have come from the fraud. 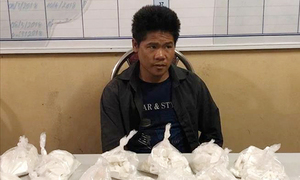 Following this arrest, Thanh, Phong and Dinh Manh Thang quickly returned all the "gifts" they had received, and only Phong was still linked to the case at the time. 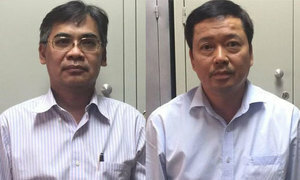 At the trial for the housing fraud in 2013, Binh was sentenced to life imprisonment while Phong received a 6-year jail term. 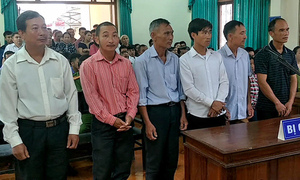 Earlier this week, the Supreme People's Procuracy also ratified charges against Thanh for his loss-making operations at PVC. In this case, he is facing death for property embezzlement, and 20 years in jail for violating state regulations on economic management. 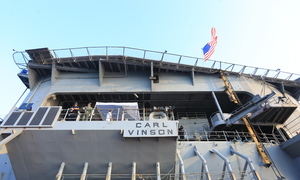 The 51-year-old is set to stand trial in Hanoi in January for causing losses of around VND3.2 trillion ($147 million) when he was leading the construction unit between 2007 and 2013. 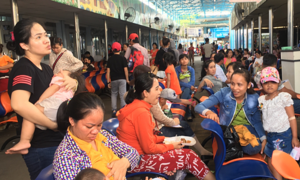 Thanh caught media attention in June 2016, when he was a provincial deputy chairman, for driving a $230,000 Lexus with a government license plate in a country where the average annual income was around $2,200. The scandal caused uproar over the use of public money, prompting a probe into his political career and how he had been promoted. Vietnam’s energy and banking sectors have been at the center of the sweeping corruption crackdown spearheaded by Communist Party chief Nguyen Phu Trong. Scores of people have been ensnared.